Get a hot homemade meal deal delivered (or you can pick up) for your family this winter! Monday- Friday for the months of January and February, order your Mo-To-Go Family Meal and receive a free cheese pie with your order! 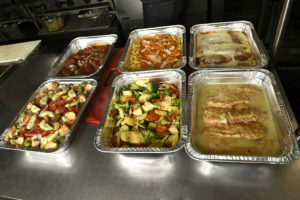 The Mo-To-Go is a family-style feast and feeds a family of 4. 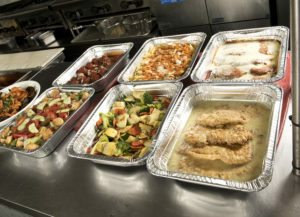 Choose an entree tray, a pasta tray and a side tray for $39.95 – pick up or delivery only. Upgrades and healthier substitutes available. The free cheese pie is on us- because there’s still MO winter left!